We’d love your help. 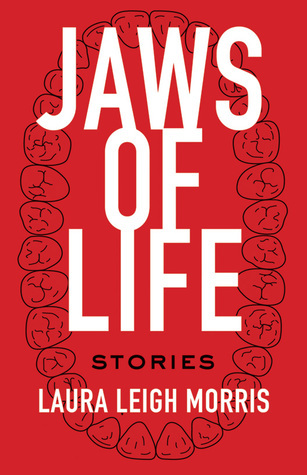 Let us know what’s wrong with this preview of Jaws of Life by Laura Leigh Morris. In the hills of north central West Virginia, there lives a cast of characters who face all manner of problems. From the people who are incarcerated in West Virginia’s prisons, to a woman who is learning how to lose her sight with grace, to another who sorely regrets selling her land to a fracking company, Jaws of Life portrays the diverse concerns the people of this region In the hills of north central West Virginia, there lives a cast of characters who face all manner of problems. From the people who are incarcerated in West Virginia’s prisons, to a woman who is learning how to lose her sight with grace, to another who sorely regrets selling her land to a fracking company, Jaws of Life portrays the diverse concerns the people of this region face every day—poverty, mental illness, drug abuse, the loss of coal mines, and the rise of new extractive industries that exert their own toll. To ask other readers questions about Jaws of Life, please sign up. The characters are If Scott McClanahan has a corner on certain areas of rural Appalachian West Virginia, then Laura Leigh Morris might have her own territory marked out in a neighboring small town. Here is the place an old woman starts a revolution against the company she sold her land to after they keep her up at night. Here is where a man has a relationship with the woman who drove through the window of his auto parts store. Children take on new responsibilities and inmates live on in legends. This is a strong collection of loosely linked stories. I enjoyed that the setting, a small West Virgina town, is just as much of a character in the book as any of the actual characters. I highly recommend this book for readers who enjoy short stories about blue-collar characters with imperfect lives. From heartwarming to heartbreaking, Laura Leigh Morris introduces us to an unforgettable cast of characters. These stories are not only authentic, but necessary. One of the best collections of Appalachian fiction out there. Read it.